Panorama of Cox's Bazar in the early morning: clouds on a blue sky, still water and forest in the distance. 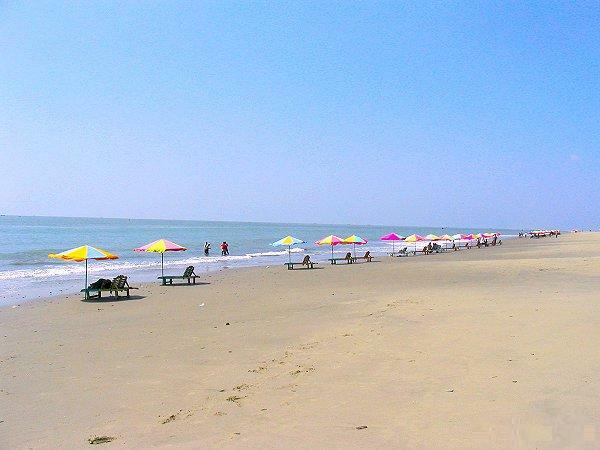 Cox's Bazar Facts for Kids. Kiddle Encyclopedia.